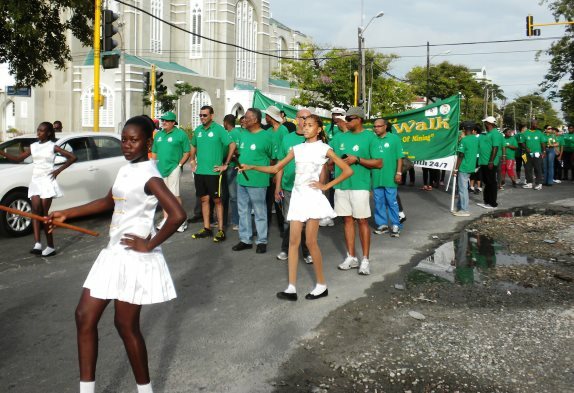 Mining Week 2013 activities kicked off this morning [Sunday, August 25] with the symbolic Annual Mining Walk to raise awareness of the mining sector, highlighting challenges and opportunities. Minister of Natural Resources and the Environment, Robert Persaud during his address expressed his appreciation to participants for their support to the walk. Participants included staff of the Guyana Geology and Mines Commission, miners and other agencies of the Ministry. in the series of activities planned for Mining Week 2013. Customer Appreciation Day on August 29 and Pork Knocker’s Day on August 31.